The site on which Brand Exchange stands has a rich and varied history. There have been buildings on our site since at least the Roman period. In fact we are just yards from the original site of the Roman Forum. 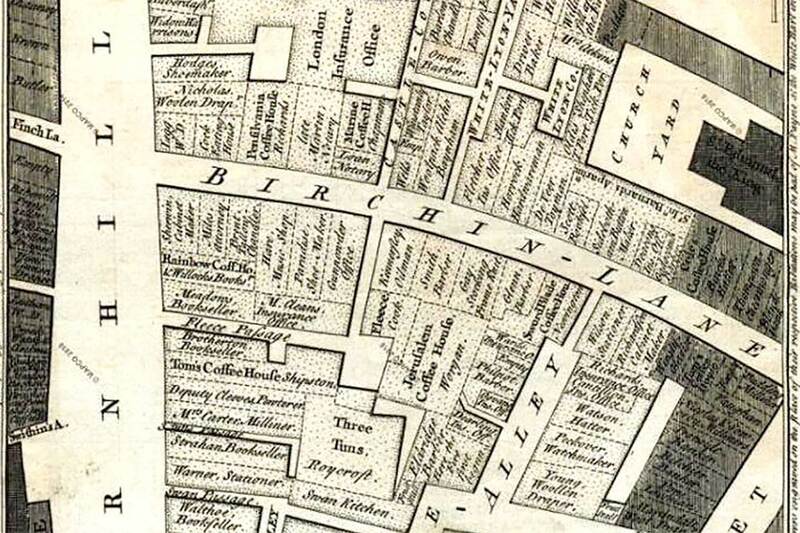 In the Middle Ages there was a market on Birchin Lane and as London built its status as a trading and financial hub over the centuries, Birchin Lane was at its heart. It was the site of many of the earliest coffee houses, which would grow to become the earliest stock exchanges, fuelling both booms and busts such as the South Sea bubble. Read on to find out more about Brand Exchange’s fascinating history that inspired the creation of the club. The high ground of Birchin lane, on the banks of the Walbrook river valley, was one of the first settlement areas in Roman London. 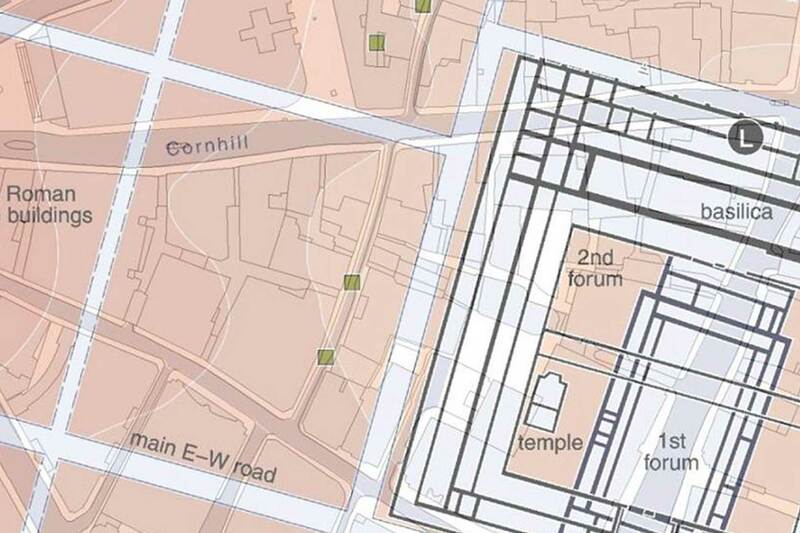 The Romans established their first basilica and Forum in its vicinity, alongside modern-day Gracechurch Street. 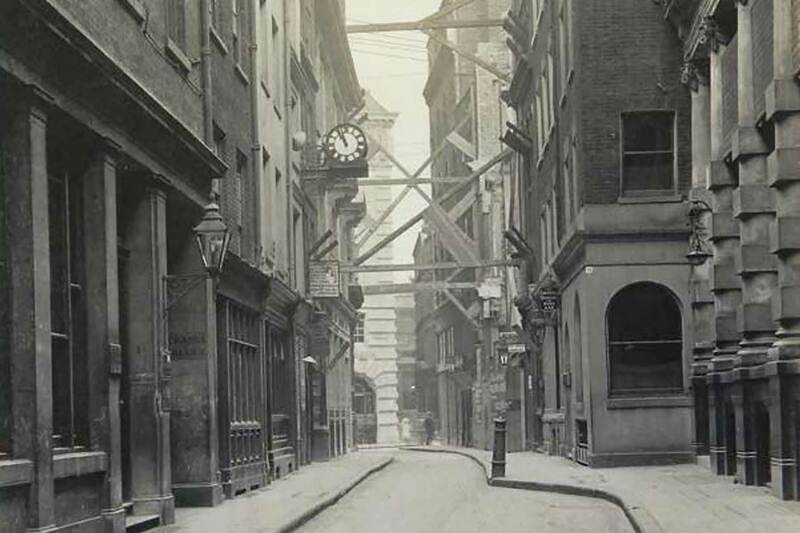 The earliest building was replaced in c.100 AD by a larger aisled basilica and forum located between Fenchurch Street and Cornhill, and built a crossing over the Walbrook River in the area of Poultry and Walbrook. a market located around Birchin Lane as early as the 14th century. According to documentary sources the name of the road could be derived from an old English word meaning ‘lane of barbers’. The road was known for men’s ready-made clothes shops. In 1573 Isabella Whitney, describes where to shop for different goods in 16th century London, suggesting Birchin Lane for women’s footwear, as “artisans sold boots and shoes and pantables or overshoes for walking in the dirty streets of London”. 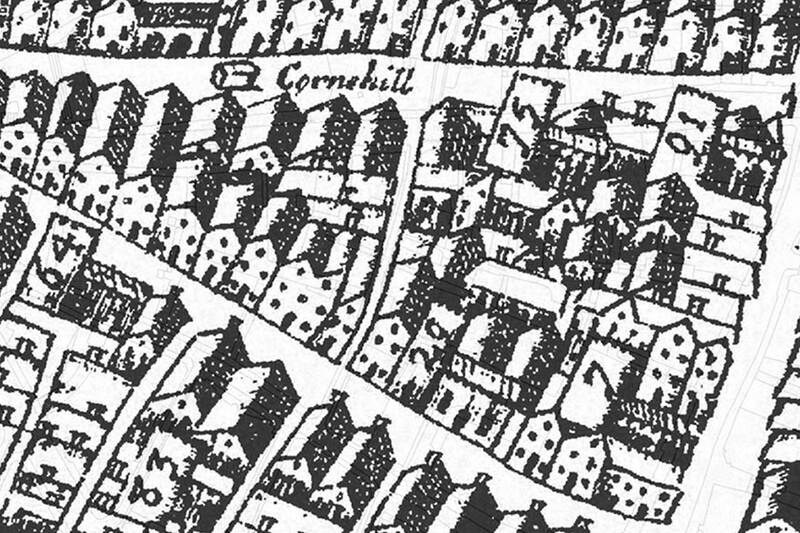 Cornhill was one of the busiest thoroughfares in the City when during the 17th century three new and exotic beverages appeared in Europe: tea, coffee, and chocolate. The first establishment dates back to 1650 but 50 years later this type of institution was widespread. Coffee houses were places where, at least initially, higher class men could conduct business and exchange information and opinions. A penny would normally give admission to any man, without regard to rank or privilege, hence the reason why London’s coffee houses became known as “Penny Universities”. 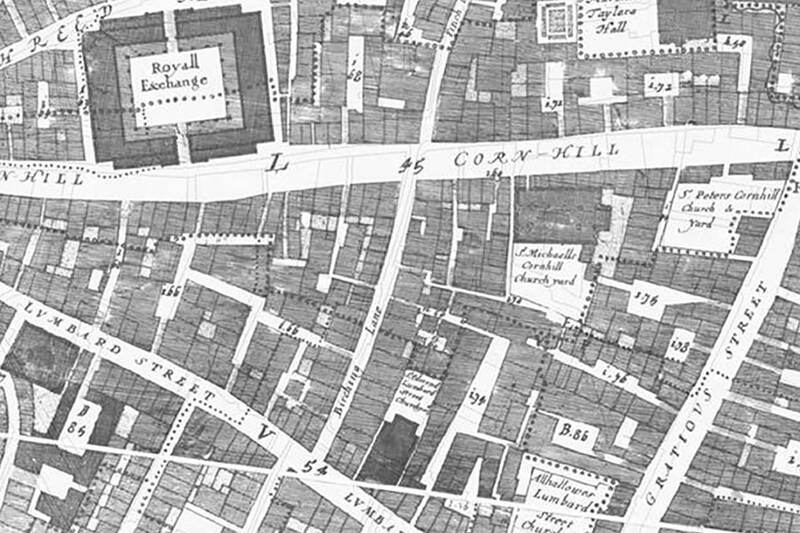 The Cornhill Fire – From Exchange Alley a fire broke out, from the shop of wig maker Eldridge, the fire was the most dramatic since the Great Fire of 1666. Several houses and commercial premises were destroyed around the Birchin Lane area. 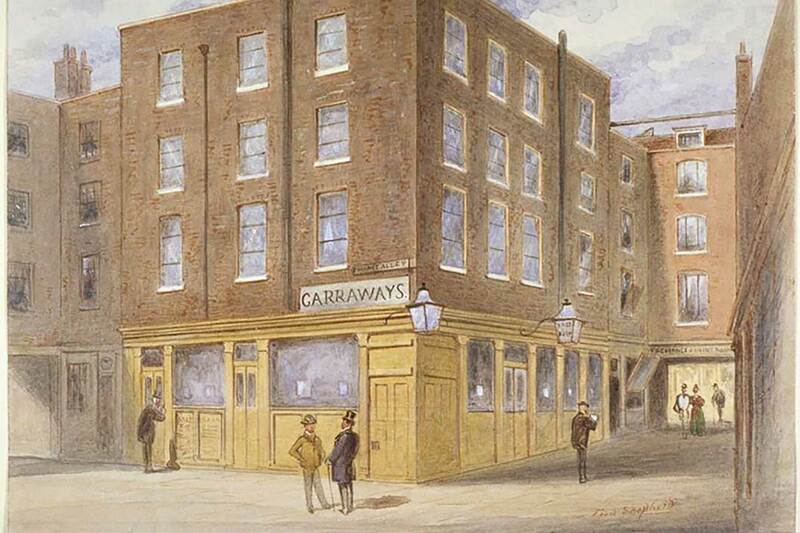 The Garraway, the Jerusalem and Johnathan’s coffee houses, the Swan Tavern, and the rest of the houses in Change Alley were destroyed. 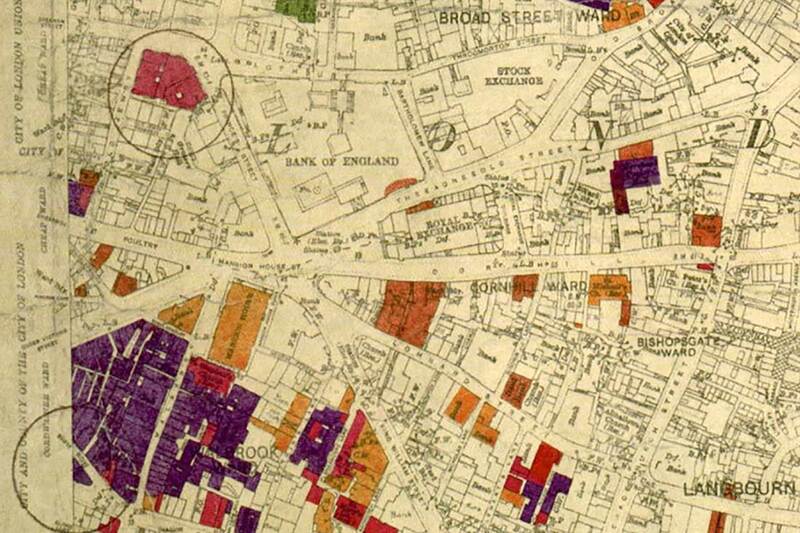 The area was rebuilt after the fire and largely retained its layout which survived until Victorian times. 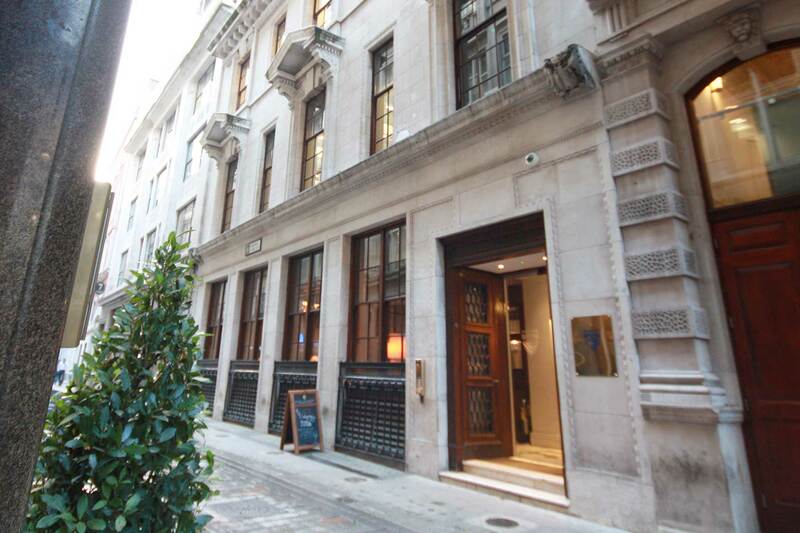 Edinburgh Assurance Company’s directors purchase the site at 3 Birchin Lane. The building on the site was built by Messrs Dunn and W Watson. 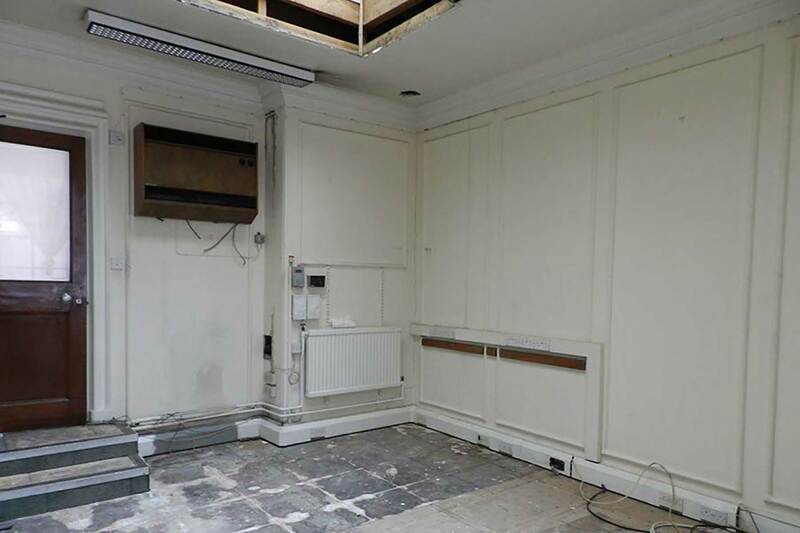 Although possibly slightly damaged by the war the building was acquired by Commercial Union Assurance Co.
3 Birchin Lane purchased by Brand Finance in November. After a comprehensive refurbishment Brand Exchange is launched in January.